It can take even the healthiest of couples several months to conceive, and the diagnostic criteria for infertility requires 12 months of trying for couples under the age of 35, and 6 months of trying for those over 35. Which means that, in most cases, a few months of trying and failing really are no big deal. What happens when more than a few a months have gone by though? Or when you have an underlying health condition, such as PCOS or Endometriosis, which you know could be inhibiting your ability to conceive? What should you ask your doctor, when you fear the worst about your fertility? 1. What Diagnostic Tests are Available? To some extent, women who go into an infertility consultation with a known diagnosis, such as endometriosis, are lucky. They know what they are dealing with already, and this can help to form a plan of action up front. For those who are unaware of the root of their fertility issues, however, answering those questions can take a little more time. Talk to your doctor about the diagnostic tests available, and ask questions about those you don’t fully understand. An initial infertility workup will typically involve lab work to check hormone levels, but subsequent tests can include scans of your ovaries, dye-contrast x-rays for your tubes, and even exploratory surgery to identify issues such as endometriosis or scarring. 2. Is There Anything I Could Be Doing to Improve My Chances of Success? In some cases, certain lifestyle changes may make a difference in your fertility efforts. If you are a smoker, for instance, giving up nicotine could be the path to success for you. Other examples may include losing weight and reducing stress. Talk to your doctor about your day to day life, and discuss ways that you personally can make changes in the name of boosting your fertility. 3. Do I Need a Referral Elsewhere? OBGYN offices provide varying levels of infertility treatments, depending on the specialties of the doctors working there. In many cases, however, your regular OBGYN will not be equipped to provide the treatments you may need. Talk to your doctor about what options are available in their office, and discuss the possibility of being referred to a local reproductive endocrinologist if necessary. 4. What Type of Treatment Do I Need? Depending on the severity of your case, your doctor may feel that you need only a low dose of medication to stimulate your ovaries and encourage ovulation. Or, it is possible your situation may call for more extreme measures, up to and including In Vitro Fertilization and sperm or egg donation. Be sure you understand what the baseline treatment options are for your specific case, and what the likelihood is of each of those treatments succeeding. 5. What Are The Success Rates For This Clinic and What are Your Core Philosophies in Patient Treatment? Success rates vary between clinics, as do variables such treatment aggressiveness and bedside manner. Understanding what each specific clinic has to offer can help you to select the clinic that feels right for you. 6. What Side Effects Should I Expect From Treatment? Most of the medications prescribed for the treatment of infertility will alter your hormone levels in some way. When this occurs, there are almost always some side effects to remain aware of. Be sure you understand what you are putting into your body and what effects you can expect before moving forward with treatment. 7. How Do You Feel About Integrative Therapies? Talk to your doctor about acupuncture and other alternative therapies being used in conjunction with medical treatments. Studies have shown that integrative therapies can sometimes increase the success rates of infertility treatments. Gauge your doctor’s comfort level with these options, and choose someone whose philosophies align with your own. 8. What Are My Chances of Success, Given My Diagnosis and Age? Understand that the chances of success have a lot to do with your personal diagnosis and age, and don’t be afraid to ask for real numbers in regards to what your individual odds are. Knowledge is power, and understanding those odds can help you to move forward with a realistic amount of hope. 9. What Are the Costs Associated with Treatment? 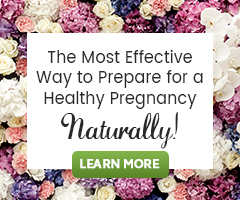 Depending on what treatment options you are hoping to pursue, you could be looking at anywhere from a few hundred dollars for medication, to over $10,000 for IVF. Get the complete picture of your expected costs up front, so that you can begin to plan for how you will pay for treatments in the future. 10. What Will My Insurance Cover? Some states now require insurance companies to cover infertility treatments, and some companies provide a certain amount of infertility coverage, regardless of state. Find out what, if anything, your insurance will cover, and discuss how that will affect potential treatment options with your doctor. 11. How Available Will You and Your Team be During a Treatment Cycle? Find out if you will have a main point of contact should questions arise throughout the course of treatment. Your ability to get in touch with a medical practitioner can play a huge role in your comfort level during treatment cycles, so ensure you are with a doctor or clinic who values communication as much as you do. 12. What Options Would You Pursue, If You Were In My Shoes? While not all doctors will answer this question, it can be a telling look into what your real odds of success are, given the treatment options available. This can also help your doctor to remember that you are a person and not just a patient, placing themselves in your shoes for just a moment, amidst the myriad of other patients they may be dealing with on any given day.